This gorgeous 14k white gold diamond bypass ring is channel set with 6 brilliant round cut diamonds on either side of the dazzling center stone. 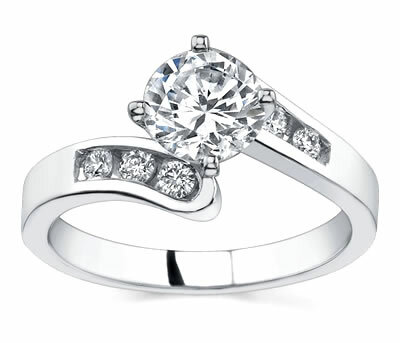 Uniquely designed with the side shanks curving to lovingly hold the large center diamond that you choose just for her! 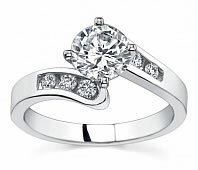 A perfectly matching wedding band is also available.